How many times can you remember being on the go only to realize that you forgot an essential item after you made your way out the door? Whether you’re about to get on a flight and you forgot your deodorant, about to hop on the train for work only to discover that you forgot your headphones, or find yourself at a party that you didn’t realize you needed swim trunks for; majority of the population can relate to these situations. Companies have began introducing a product distribution strategy to target this exact frustrating problem we all seem to face far too often. When we find ourselves hungry in the middle of the day, typically one of the best quick fixes we can get at our places of work, school, or areas of mass transit is a vending machine. Stocked with snacks and drinks to carry us over to the next meal we can find an immediate solution to our need. Companies like Apple, Best Buy, Sephora, and many more have taken this strategy and applied it to the distribution strategy of their own products. 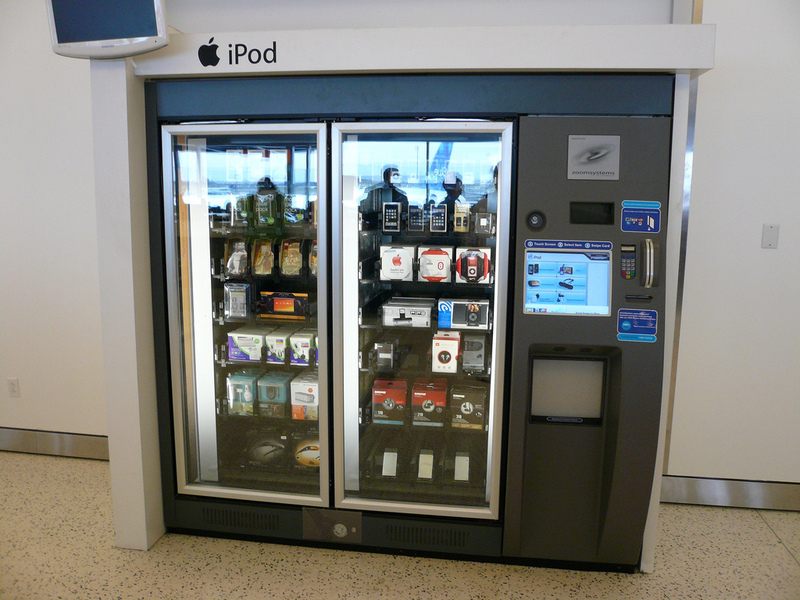 Rather than Apple stocking their vending machines with pretzels and Gatorade they are filled with Apple headphones, iPods, iPads, chargers and various other products. As more companies take hold of this trend we can take a look at some of the most successful applications of the strategy. 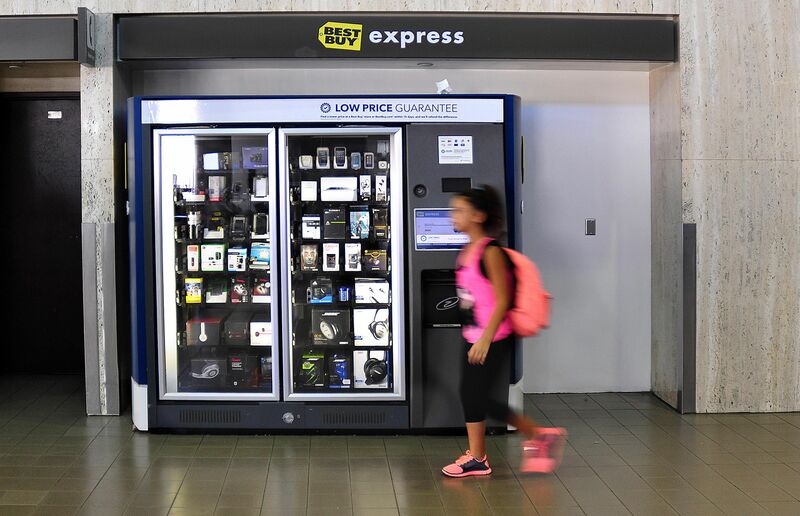 By placing vending machines in high traffic areas like airports, malls, and train stations, the product has a higher chance of providing that quick replacement or need for everyday items that may have been forgotten at home or confiscated through airport security. 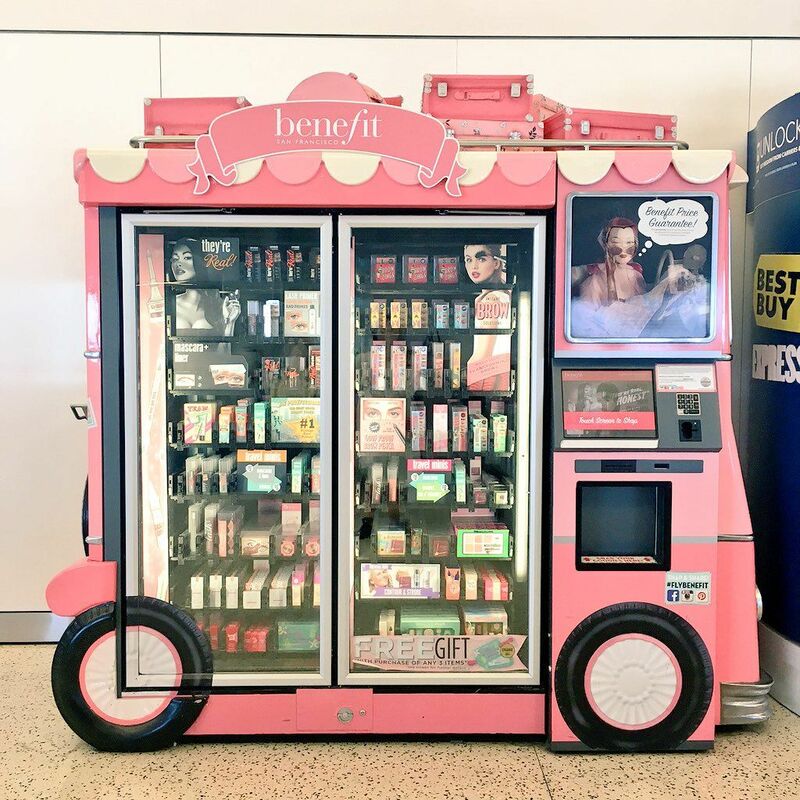 Companies that showcase their unique brands in the aesthetic of their vending machines are more likely to draw potential customers in within the busy mass transit environments where they reside. 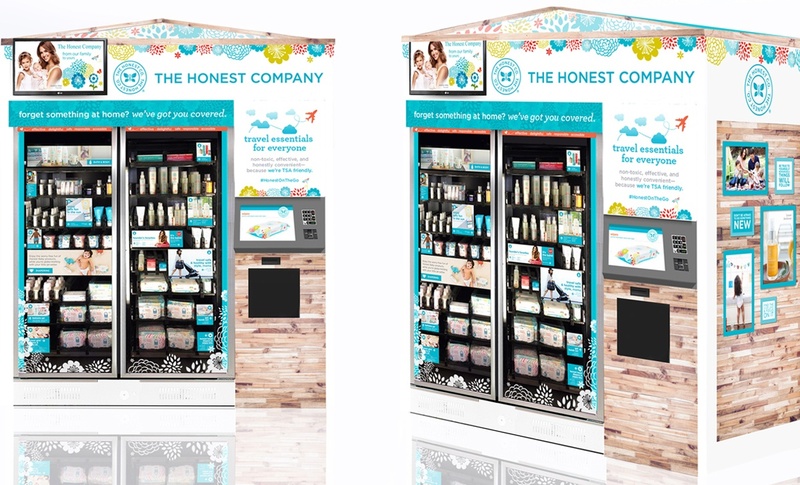 The Honest Company Found in New York’s JFK Airport, the Hartsfield-Jackson International Airport in Atlanta, the Minneapolis-Saint Paul International Airport, Houston’s George Bush Intercontinental Airport, and the Dallas/Fort Worth International Airport. 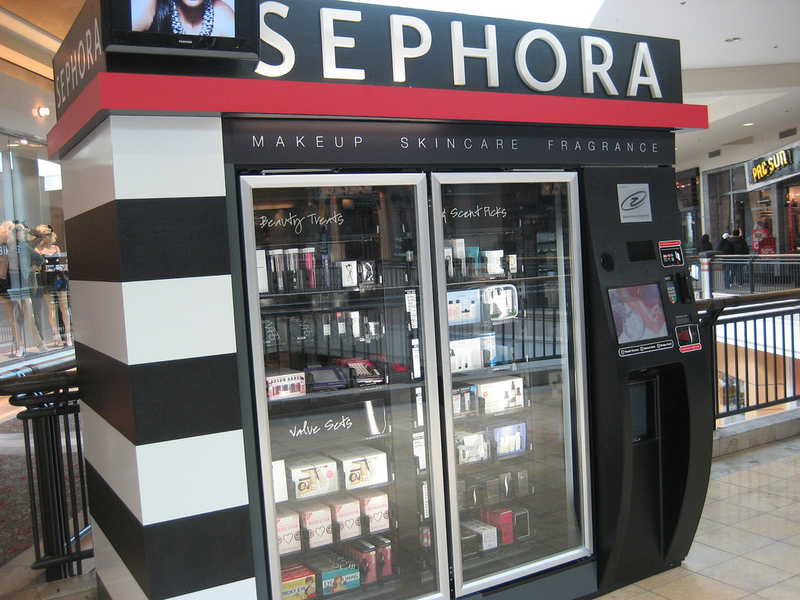 The vending machine trend is not limited to only the beauty and electronic industries. Some companies and their industries may surprise you with their implementation of the trend. 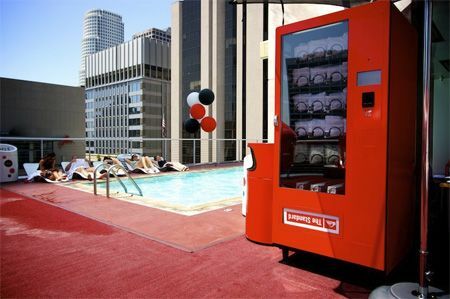 Quicksilver vending machines can be found at rooftop pools around the country promoting their brand by offering board shorts and other featured clothing to be dispensed with a swipe of a card. 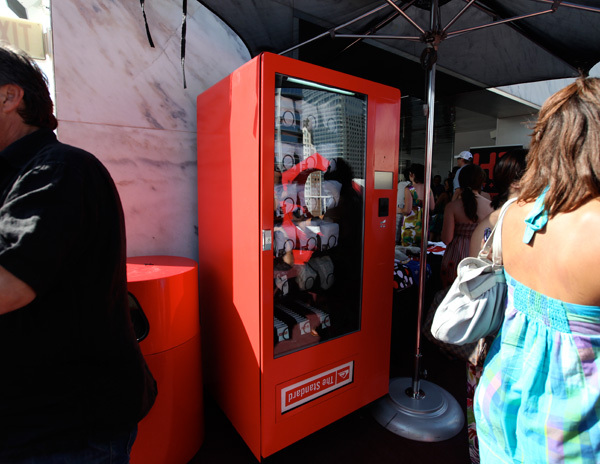 These vending machines can be found in Miami, Los Angeles and New York. 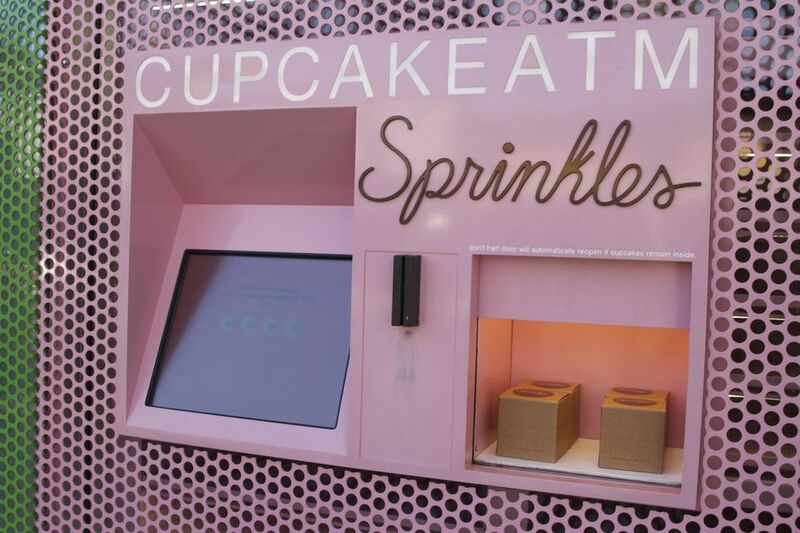 Sprinkles Cupcakes took their industry by storm when they launched the first ever “Cupcake ATM”. Providing their customers with a 24/7 access to their cupcakes. Sprinkles Cupcake ATMs can be found in Chicago, Austin, Atlanta, Beverly Hills, Scottsdale, Tamps, New York and many more locations.